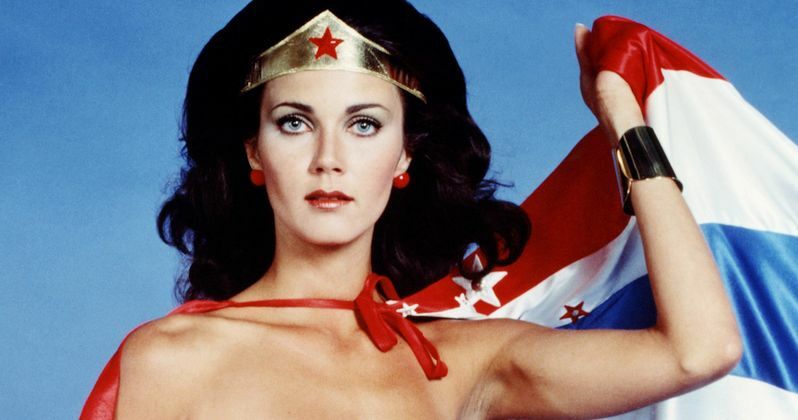 TV's Wonder Woman, Lynda Carter is finally getting a star on the Hollywood Walk of Fame. No doubt partially thanks to the success of last year's Wonder Woman movie, the 66-year-old icon will be honored next month on April 3. Long before Gal Gadot brought the beloved DC character to the big screen, Carter was the world's Diana Prince and she's finally going to get this well-deserved bit of recognition for her long career. While it seems like Lynda Carter maybe should have already had a star on the Hollywood Walk of Fame, it's actually a complicated process. Money needs to be raised in order to make it happen and that often can be the tricky part. After all, Star Wars mainstay Mark Hamill just recently got his long-overdue star. In any case, Carter is finally getting hers as well. Leron Gubler, Hollywood Chamber of Commerce President and CEO, had this to say about Carter getting her star on the Walk of Fame. "Superhero fans will be thrilled to see the TV's iconic original 'Wonder Woman' Lynda Carter honored with her well-deserved star on the Hollywood Walk of Fame! We are proud to add Lynda onto our historic Walk of Fame." Though best known for her work on the Wonder Woman TV series, which aired for three seasons from 1975 to 1979, Lynda Carter has had a long and varied career. She's a renowned singer, in addition to her work as an actress. She made her debut singing publically at the age of 14. She was crowned Miss World America in 1972, which eventually led to her getting a chance to play Wonder Woman on the small screen. She beat out hundreds of other actresses for the part at the time. In recent years, Lynda Carter has stayed active, touring in honor of her music and releasing albums. She's been featured on episodes of The CW's Supergirl as the President of the United States. She also has a role in the upcoming Super Troopers 2, which arrives in theaters on April 20. Though it was rumored she was going to have a cameo in the Wonder Woman movie, that didn't come to pass. However, director Patty Jenkins, who will be on hand at the ceremony next month, says that she hopes Carter can have a small part in Wonder Woman 2, which is set for release next year. Over the course of her career, Lynda Carter has been a symbol of female empowerment and has long been an advocate for women's rights and a strong supporter of the LGBTQ community. Lynda Carter will receive the 2,632nd star on the Hollywood Walk of Fame on Tuesday, April 3, 2018, at 11:30 a.m. PT. In addition to Patty Jenkins, CBS CEO Les Moonves will be on hand to speak at the ceremony. This news comes to us courtesy of the official Walk of Fame website.